White-tailed ptarmigan spend their entire lifecycle in the harsh alpine environment above timberline, foraging on willow buds almost exclusively and thriving - even gaining weight through winter. These remarkable birds will also tunnel into snow as an insulation strategy. 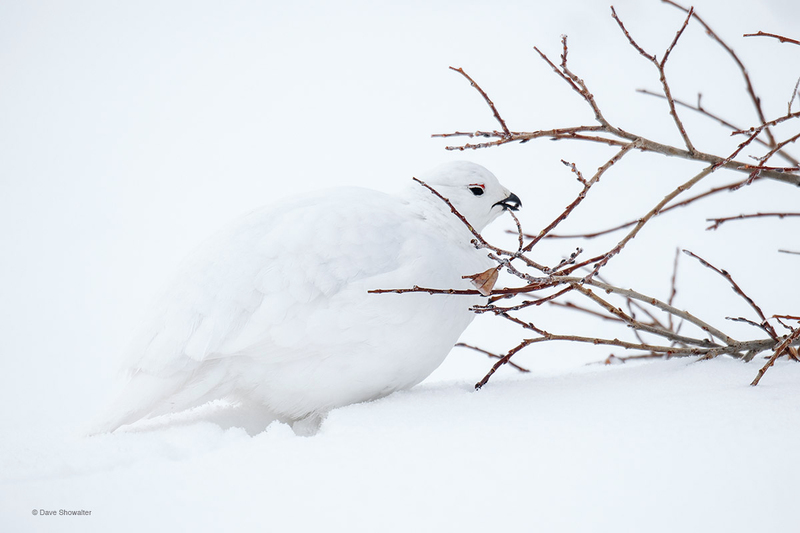 In the era of progressive climate change, ptarmigan need snow for camouflage and willow for continued survival. I photographed this bird rapidly devouring tiny willow buds in an alpine basin at the top of the Colorado River watershed around 11.500 feet. Photo © copyright by Dave Showalter.